The fresh plea has been filed by Tehseen Poonawala seeking direction to quash the DoT notification of March 23 and hold it as "unconstitutional" and "null and void". NEW DELHI: The Supreme Court today said it would hear next week a plea challenging the Department of Telecommunication (DOT's) notification on mandatory linking of mobile numbers with Aadhaar. The matter came up for hearing before a bench of Justices AK Sikri and Ashok Bhushan and the counsel appearing for the petitioner sought adjournment on the ground that senior lawyer K T S Tulsi, who would argue the case, was not available. The matter was then fixed for hearing on November 13. It has also sought direction to the telecom operators to prevent them from implementing this notification and destroy the data already collected from the customers. 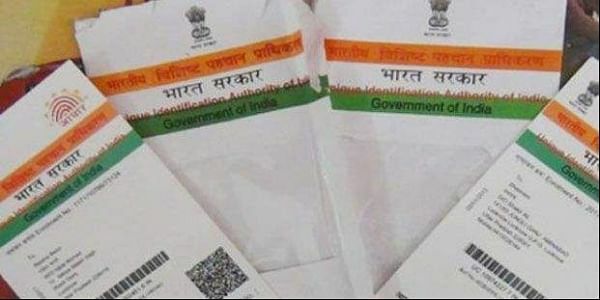 Recently, a bench headed by Chief Justice Dipak Misra had said that a constitution bench would be set up and Aadhaar related petitions would come up for hearing before it in the last week of November. Several petitions challenging the Centre's move to make Aadhaar card mandatory for availing various services and benefits of welfare schemes have been filed in the apex court. The apex court had on February 6 this year asked the Centre to put in place within a year an effective mechanism to scrutinise the details of identity of over 100 crore existing and future mobile telephone consumers.